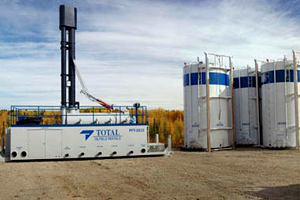 ﻿ Rental Fleet - Total Oilfield Rentals Ltd.
Total Oilfield Rentals Ltd. offers you a complete full cycle solution for all your surface rental needs from Drilling through to Completions, Servicing and Production. Our well maintained equipment and knowledgeable staff save our customers time, hassle and money. Our extensive branch infrastructure throughout Western Canada minimizes transportation and logistics costs and ensures timely 24/7 rental equipment support.